Are you ready to depart to Spain with SNAV and Grandi Navi Veloci? Our ships dock in the Catalan chief town that is waiting for you with its incredible artistic heritage and amusements: in other words, a universe of places and attractions to be visited! SNAV and Grandi Navi Veloci ferries directed to Spain are comfortable and full of amenities, real hotels among waves that will make your trip unforgettable. À la carte restaurant, snack bar, pizzeria and coffee shop will satisfy your palate with the delights of the Italian and international cuisine. Moreover, for your amusement on-board, we offer a series of amenities including piano bar, arcade and slot machines, discothèque, swimming pool and much more. We always put comfort in first place, as proven by our spacious and large cabins and suites equipped with any comfort, suitable to host the entire family. 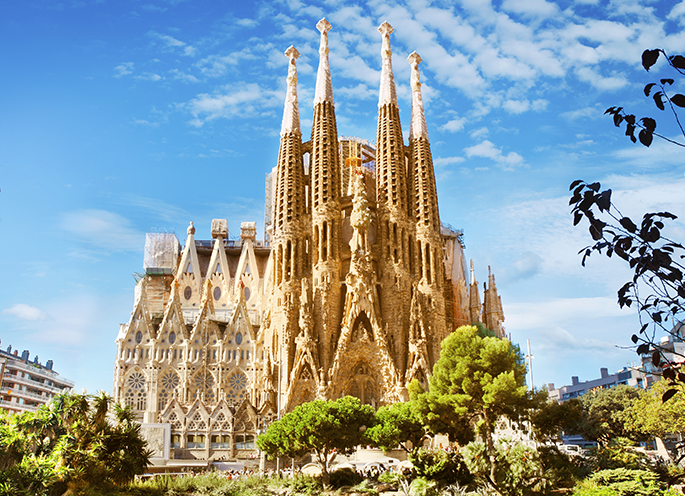 Book now your ticket online and embark our ferries: Spain is really around the corner!